» Milk Kefir – Let’s do flavours!! So yesterday we made cream cheese. I’m going to show you some recipes soon that I’ve made with it. I’m REALLY excited to share these with you! One is a no wheat, no sugar pancake (you need to like nuts for that one 🙂 and is dressed with kefir cream and some other goodies. The other is my latest obsession: Ice cream!!! I’ve never been a big fan of ice cream. Until now! You see, one of my strong desires is to get both your AND your children (if you have them!) or children in your family/extended family or families of your friends into fermented food and drink. I want them to love it like you will when you start on this adventure, so that you can help to build up their munchkins’ immune systems. Who knows? Maybe together we could prevent schools and families going down with constant germs every winter! Why shouldn’t children resist germs too?! It’s never too late to start something new in life! 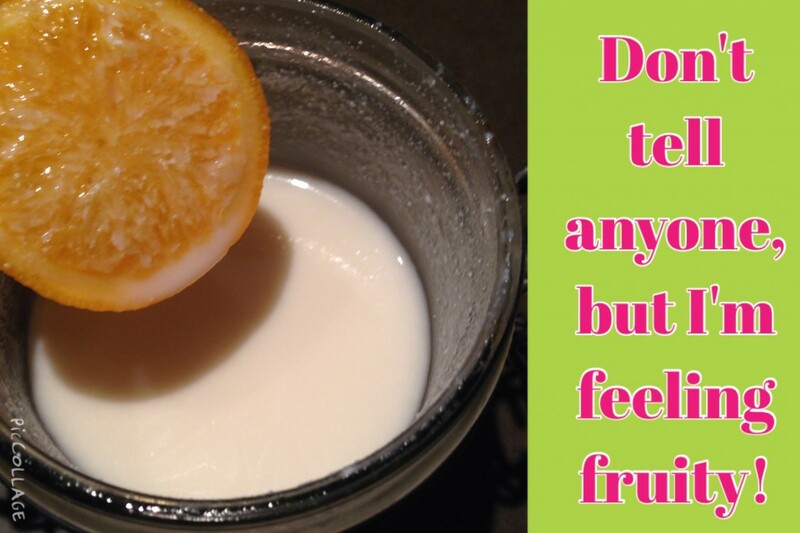 Flavoured Kefir Milk – Mmmmm … Yummy! I’ve resisted flavouring kefir till now because I love the coconut as it comes and hubby has said no to it whenever I’ve offered. But now I have this blog, I’m giving him less choice. He he. And I have to say, he’s being remarkably gallant. As Chief Taster in the household (correction: ONLY taster!) he is the one to let me know if dairy recipes work. I really don’t like cow’s milk so I’m not a good judge of flavour as I completely zoned out of it decades ago. So tonight I asked him to check out 3 milks I’d flavoured yesterday. To be precise, they had 2nd fermented for 27 hours! I caught them just before they looked ready to start curdling on me! I’d not go over 24 hours in future. It was deffo a bit edgy leaving it that long! But of course, as always, it’s temperature dependent. I leave all my ferments in our very small utility room. It’s hot in there, with the boiler, washer, dryer and a veluxe that allows the hot sun to permeate the room during sunlight hours. As a result, it’s impossible to regulate the temperature, but the ferments are always close by, so I just keep an eye on them. (Unless I’m busy, tired, forget .. you know what I mean! 😉 My mistakes have helped me to learn how to rectify and also what to avoid! Anyway, it’s still easy. Second fermenting is when you’ve made your kefir milk and either flavour immediately or leave it in the fridge, use some of it, then decide to flavour the rest of it. It makes no odds what time you decide to add flavour. So it’s pretty simple really. If you’ve read this blog for a while, you’ll know that I’m not a great one for measuring ingredients as a rule, but for you (ahhhh) I’m measuring things these days, because I do understand how overwhelming it can be to learn something new and not have a set of instructions. Just keep in mind that if the strength of any flavour is not to your perfect liking from any of my recipes, you can simply add or reduce the following time. This is just the way I’ve done it. Feel free to experiment once you feel more confident! Hubby wasn’t mad on the apple, but I’m leaving it in the fridge to see what happens to the flavour during the next week and will report back! He liked the lemon (but is particular about where lemon flavours should appear in food) and didn’t request this one for his cereal. He’s booked the orange as a regular for his breakfast. I had a teeny weeeeny taste of each and can say that I thought the orange was pretty good and definitely took away from the usual sourness of the milk. I may well use both of them in other recipes this week. Try experimenting with your own flavours. Perhaps cinnamon? Your favourite fruits? Let me know the results! Raspberries maybe? Blueberries? Banana milk? Hi … Can I add dark chocolate, as in a few squares of a Lindt 90% dark chocolate bar to the kefir for a second ferment? It has some “processed ingredients” so wasn’t sure if that would be okay to add in for the bugs to eat?? THANK YOU!!! Hi Holly, I would keep it simpler than this and just buy some organic raw cacao powder (rich and bitter) or carob powder (sweeter and lighter in colour) for a chocolate taste. There’d be no need to second ferment using this method. Nice’n’easy and as healthy as you can get. 🙂 If you find raw cacao too bitter, you can mix it with carob and always add a date or two into the mix (or any fruit that goes well with chocolate) and blend them all together to make a tasty milk. Oops, my 2nd ferment separated… Can I mix it back together or should I just use the curds and whey for other things? Apologies for the delay in response Ben. And Happy New Year to you! To answer your question … you can do either. We strain my husband’s grains by simply using the normal method and just pouring the whey over the curds several times (after it’s strained through the sieve) to gently separate the grains from the curds. You can then either stir or blend the curds and whey back together. Alternatively, you could pour the mixture through muslin (hanging over a jug) and allow the curds to fully separate and use them to make cheese. Remember that whatever you do at this stage, the milk will be more sour than usual. You can overcome that by adding a little fresh milk (after removing the grains) – just for that batch – or second fermenting the milk with some fruit, to sweeten it up again. I have a blog post about that her on this blog. You will find it in the KEFIR series on the Main Menu Category list. Some people like to use whey for fermenting vegetables. I’d rather use salt and water myself, but it’s a personal preference. I’ve read that it can be quite oderous and perhaps the ferments don’t seem as appealing or maybe last as long. I don’t know for sure, as I’ve never used this method myself. Either way, if it happens again, have a play and see what you like best! By reducing the grains in the jar from the start, you won’t strain the grains. They need milk sugars to survive and the milk can separate fairly quickly when you use too many grains to the volume of milk because there is too little food for them and that speeds the whole process up. Can you do a second fermentation with coconut milk kefir or is it only for the dairy version? Thanks. Absolutely Kara. Experiment with flavours until you find what suits you. Orange works really well! My pleasure. 🙂 Have fun and please feel welcome to ask away if you have any more questions. I have seen many websites and they differ on tight covering or loose covering for second fermentation. What have you found works for you? Hi Veronica. I have added fruit to the fridge jug (which has a loose lid – ie an open aperture through which to pour the milk) poured the freshly fermented milk over it and left it on the worktop at room temp, then left it the same way in the fridge. I would imagine if you use a canning jar it may fizz more and potentially become more explosive, like water kefir. Not sure if the milk would keep it calmer. Anyway, this method worked for me, so I stuck with it. I used thick sliced of fruit and also, on some occasions, squeezed a little juice in directly from the orange as well. It takes time to infuse and strengthens in the fridge. I’ve read that you should remove the fruit from the 2nd ferment of milk Kefir, WHY? I love eating sour cream dips (sour cream flavoured with some kind of relish.) on my fresh vegies. Have you tried flavouring milk kefir with savoury chutneys? Does it go runny and what does the vinegar content do to the probiotics.